Tempe, Arizona is in Metropolitan Phoenix, the home of Arizona State University, which was established in 1885 as a school to train teachers. In the early years, the area was a farming community, but as time went on and the area was annexed into Phoenix, the farms were replaced with homes. This college town has a variety of things to interest resident and visitor alike. The University football games are always a great way to spend time. Or you can go out on the Tempe Town Lake with someone special for some boating experiences. There are art exhibitions and performances at the Tempe Center for the Arts. Downtown Tempe is the historic district and has many fun things to do. There are family-friendly events as well as many outdoor events for this active community. This is a culturally diverse town, from the brick paved sidewalks that reflect historic roots, to the fun activities for the college-age people. There are obstacle races, paintball, dance clubs and karaoke clubs. There is hiking in nearby hiking trails and many restaurants and pubs for that special evening out. What you can’t find in Tempe, you’ll find in Phoenix and other close communities. The real estate in Tempe is as diverse as the town. You will find older ranch style homes as well as newer Tuscan style homes. Most of the single-family homes have two to three bedrooms and landscaped lawns and good streets. There are also townhomes of different styles. As a college town, there is a sense of spirited lifestyles. With the combination of history and modern conveniences, Tempe attracts not only singles but families and couples. Traffic in this lively town is busy, but there are options in light rail, bus, and Orbits, a free small bus service that serves the residential areas. This makes getting around in this busy town easier. When you consider the many amenities, the natural beauty of the place, and the diverse options in homes, this is a must-see destination for home buyers searching in the Phoenix area. If you would like more information on homes for sale in the Tempe, Arizona area, please contact us today and allow us to assist you. 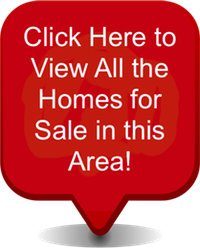 Access all Tempe, Arizona homes for sale and real estate here. Properties in Tempe are updated daily from the MLS, so be sure to return here for the newest listings for sale in Tempe, Arizona.